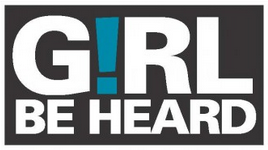 We want to congratulate our partner, Girl Be Heard, on their Girl Be Heard Across Borders Conference tour taking place June 9th-July 9th. The schedule is packed with performances, workshops, talkbacks, social activities and more, all of which are intended to give a voice to women in conflict. The first leg of the tour featured the Global Conference to End Sexual Violence in Conflict hosted by Foreign Secretary William Hague and Goodwill Ambassador Angelina Jolie, held last week, June 10th-13th in London, England. A US Embassy-sponsored human rights tour will next take the performers to Coventry and Birmingham in the United Kingdom and then on to Geneva, Switzerland; Copenhagen, Denmark; and Roskilde, Denmark. Human rights violations and violence against women are not unique to modern times. Sadly, our ancient past is stained with these atrocities. We are honored to work with Girl Be Heard and recognize their important work on behalf of girls and women across the globe. Visit girlbeheard.org for a full schedule of events and to find out how to donate to the cause. This entry was posted in AntiquityNOW News, Blog, Crime, Culture, Human Rights, Politics, Public Life, War and Violence and tagged ancient history, AntiquityNOW, Girl Be Heard, human rights, violence, women in conflict. Bookmark the permalink.